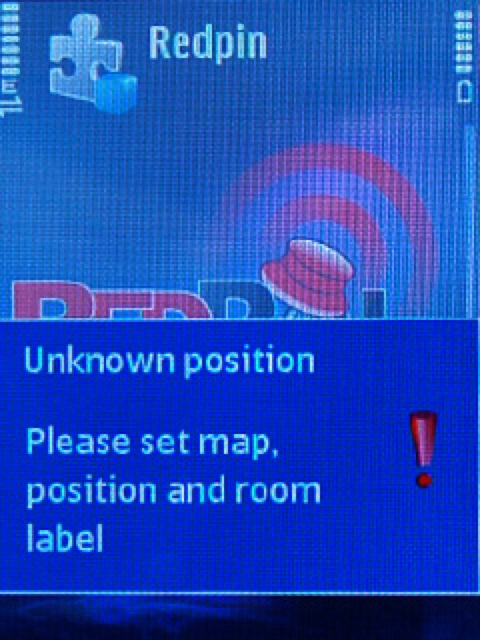 Redpin consist of two basic components: a sniffer component that gathers and collects information about different wireless devices in range in order to create a fingerprint, and a locator component, which stores measured fingerprints in a repository and contains the algorithm to locate a mobile device. 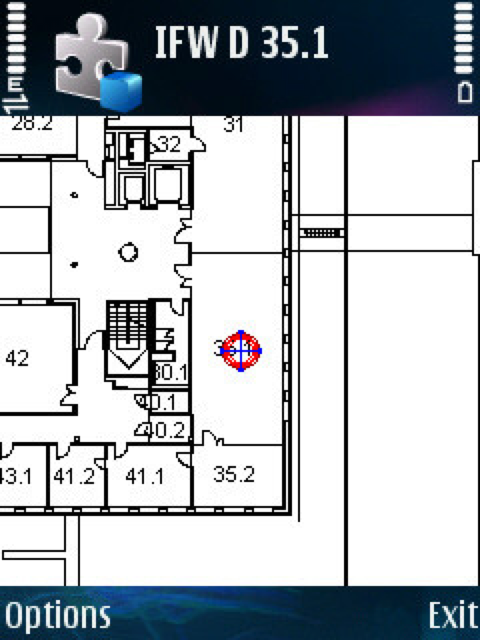 To allow easy, realiable and fast user collaboration, the locator is run as a central server. It is implemented using Java SE 5.0 and MySQL. We use Java Micro Edition for the GUI and all communication aspects, and Symbian Series 60 for the sniffer component. 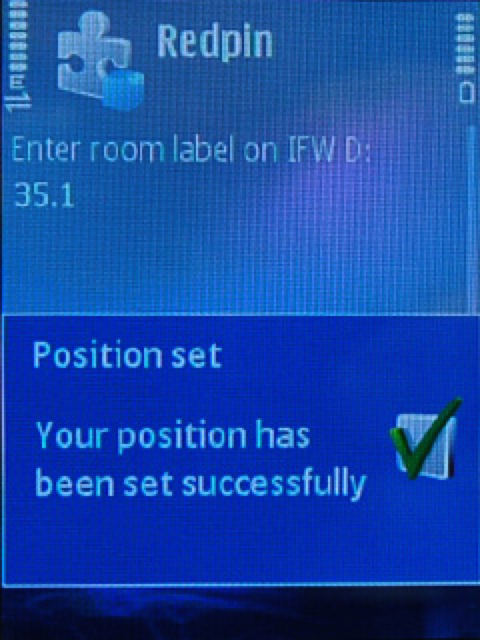 This separation was necessary, as only the Symbian API would allow us to get the information we wanted to collect. For both the server and the mobile client, we used the Open Bandy library to handle the serialization, transmission, and storage of the measured data. All Redpin components are available as either Eclipse or Carbide projects and can be downloaded from the Redpin sourceforge site via SVN. The midlet and the server can also be downloaded as a jar file from the download section here. Install Carbide and S60 3rd edition FP1 SDK (FP2 can also be used). Here you can also find useful information about the above installations steps. Check out the 'RedpinSniffer' project from the Redpin sourceforge site into your Carbide workspace. Install the sis file on the phone (using Bluetooth or USB). Install Eclipse and the J2ME SDK of your choice (we recommend the Sun WTK 2.5.2). Install EclipseME and configure Eclipse accordingly. Check out the 'Redpin' project from the Redpin sourceforge site into your Eclipse workspace. Create the MIDlet package (i.e., the jar file). Install the resulting jar file on the phone (using Bluetooth or USB). Check out the 'RedpinServer' project from the Redpin sourceforge site into your Eclipse workspace. Install MySQL Community Server and run the 'redpin.sql' script from the conf directory within the RedpinServer project to configure the database. Set the database access credentials by setting the 'DatabaseConnectionProperties' in the class 'RedpinServer.java'. Launch the 'RedpinSniffer' application on the phone. Choose 'StartSocketServer' from the options menu. 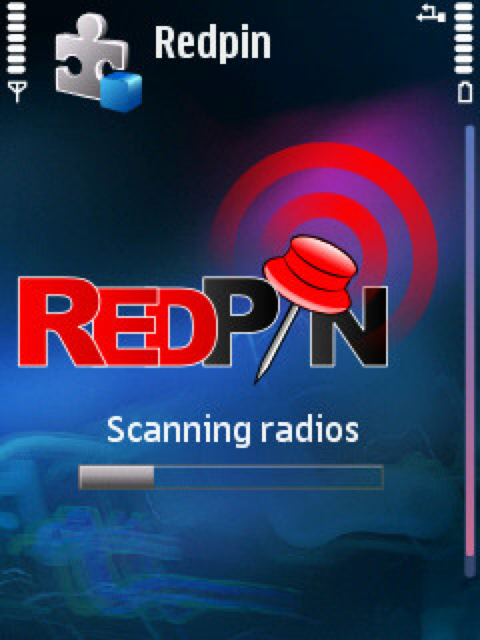 Keep the RedpinSniffer running in background and launch the 'Redpin' Java MIDlet on the phone. Save map image as png, gif or jpeg.